Nick's always on the look out for new things to try and one of his latest tips is a doozy. Nice, I like seeing the tiny white (chocolaty?) chips everywhere. I'm excited, the chance of a butterscotch base was just too much to pass up. Nothing like gazing upon a fairly rare cinnamon sugar swirl. There's even a nice smell of cinnamon once you start scooping. So which flavor do you think will stand out the most? Or should I say which flavor do you HOPE stands out the most? Well, it's the cinnamon that's grabbing my attention first and foremost, but all the other components are factoring in and turning this flavor into a complex experience. The hints of butterscotch, the crunch of tiny white chips, the cinnamon, the fact it's ice cream, these are all coming together nicely. 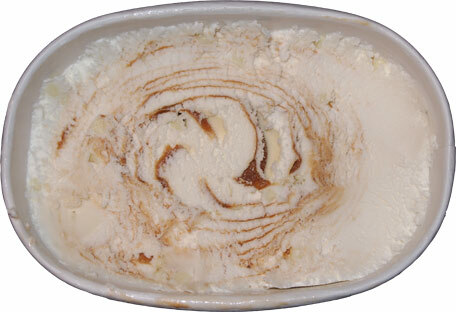 Is it possible to denote a distinct butterscotch flavor against such a prevalent caramel swirl? Probably not, at least not for most of us, but no worries. Like I said, all the flavor are coming together here really well. Wow, so many chips in every bite, they are kind of distracting actually. The chips add a bit of smooth texture, but there is part of me that wants something grittier instead so that I get more of a cinnamon bun vibe. 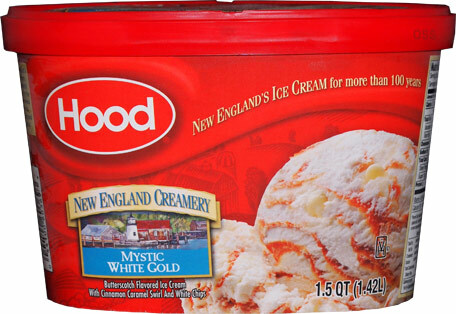 Thankfully these are just minor thoughts/complaints as I do adore the fact that Hood has produced such a nice unique flavor. This isn't some flavor you debate. If you like it, you're going to like it from the very first bite. 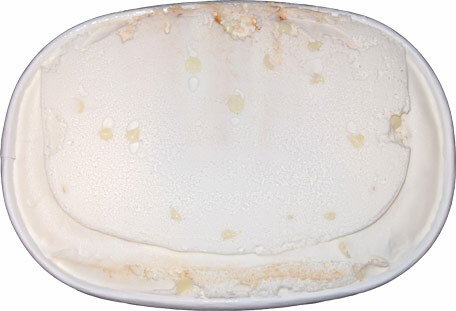 It's rich, it's sweet, and as always, it might be too much for some, but for the rest of us, oh we shall go blissfully into our sugar comas as we savor every bite. It's rare we get a true cinnamon flavor from anyone, and they've gone and done a great job with it. Ok, yeah, I just stole one more scoop. I adore cinnamon and this one delivers. Mmmm, oh this one smells good. I just can't stop thinking about it. I want to analyze all the components, but I also just want to inhale the whole thing. Sweet, buttery cinnamon goodness. Such a wonderfully complex flavor. 2018 Foot Note: I'm greying out the verdict because I think they've messed with this flavor a bit. The last two times I tried it just weren't that good. I suspect that they've cheapened it up a bit and that has affected it's wow factor and pushed it in to "it's a bit much" territory. Oh well. 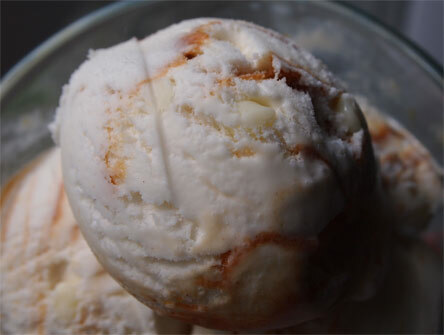 Sounds almost like a Butterfingers ice cream and I love Butterfingers. Edy's didn't do it justice. if you could add a thick milk chocolate shell, then maybe (well, and ditch the cinnamon). It's definitely a very rich flavor, it would be cool to see it modified for other purposes. Hagan made pretty much the same thing as a limited edition flavor, thought it was the nastiest ice cream I'd ever had. Can maybe see how others might like it, just wasn't my thing. @Steve: out of curiosity, define nasty. too sweet? too out there? thanks! Just the combination of the flavors didn't work for me. Butterscotch, cinnamon, white chocolate? Really odd. I tried the Hagan limited edition flavor of it (which I believe is exactly the same or close). Don't have Hood where I live.